We buy junk cars in any condition running, salvaged, wrecked, and junk. We are a Eugene Car Buyer and we will buy your car today. 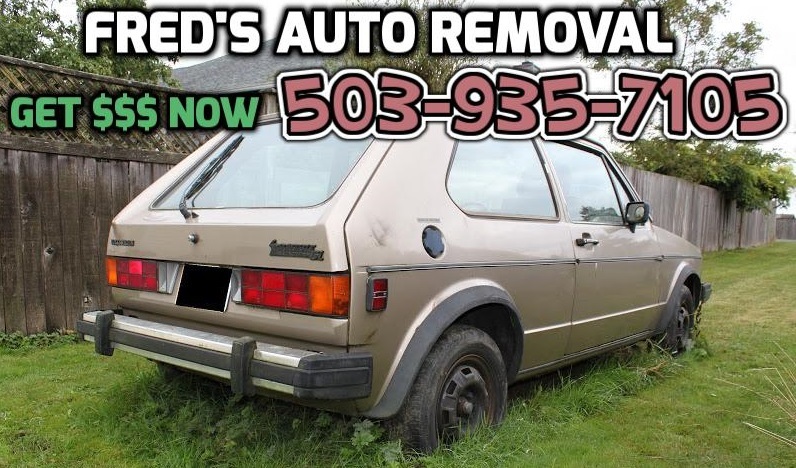 CALL US AT 503-935-7105 We pay more for automobiles that are in running condition or year 2007 and newer anywhere within 50 miles of Eugene Oregon if you want to see a list of cities we pickup in click here. It’s not a pleasant sight to see a ugly or broken car sitting in the same spot day after day rusting away. We offer a service to sell your unwanted car and get the most cash out of it you can without much effort on your part. 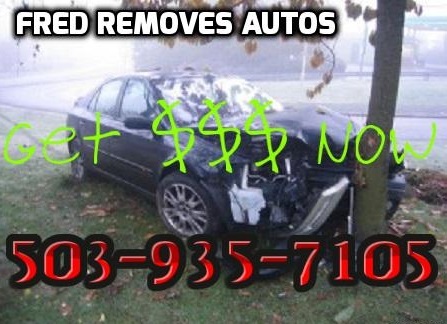 Just pickup the phone and call us at 503-935-7105 and one of our experienced Eugene Auto Buyers will schedule an appointment for our towing truck to come pay you cash for your car and haul it away free of charge if it doesn’t run. 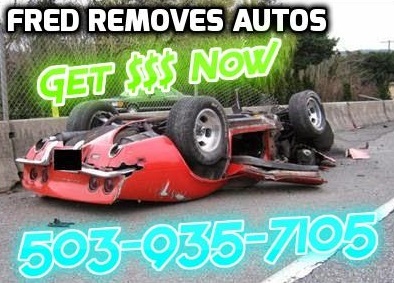 Fred’s Auto Removal help’s people turn their junk car into cash but we also buy running cars and newer wrecked cars as well for a much higher price. We are the top auto buyer in Eugene Oregon and we pay more cash then anyone else because of our large exclusive list of car buyers and salvage yards who pay cash for cars in Eugene regardless of the year, make, model, or condition of your vehicle. Every automobile has a price just give us a call today and find out what yours is. Some people prefer the do it your self approach and make the decision to take parts off their car and try to sell them. It could make you a nice amount of money but their is a risk to doing this first you will need to understand that if you don’t have the tools, a place to safely dismantle the car, a place to for storage to keep all the parts, and a source to sell the parts to then you will be in for a long, expensive, messy project that will cost you more money then you will make. That’s why most people just sell their car to a professional who is experienced in auto salvage and dismantling in Eugene OR.